We started the playoffs with sixteen teams, and now it’s down to the final two. After a pair of hard-fought, 7-game conference final series, Chicago and Tampa Bay are left to battle for Lord Stanley’s Cup. While the real winner of this matchup will be decided on the ice, who would emerge victorious in a battle of the starting goaltenders’ masks? Both Corey Crawford and Ben Bishop bring strong designs to the table, but let’s take a closer look at their buckets to decide who will win the ultimate title of bucket bracket champion. Over the course of this year’s playoffs, both these masks have been strong in outlasting their competition but for very different reasons. Crawford’s mask, painted by Quebec-based Stephane Bergeron at Griffe Originale studio, boasts a beautifully balanced and traditional design on a mainly desaturated color palette. Bergeron has done an excellent job here of contrasting the bold, clean lines of the logos and feathers with the soft brushstrokes of the background elements to create depth and harmony throughout the mask. On the flip side, famed Swedish artist Dave Gunnarsson took a much more graphic, yet incredibly dynamic approach to designing Bishop’s TRON Legacy mask. Using his new G.L.O.W. 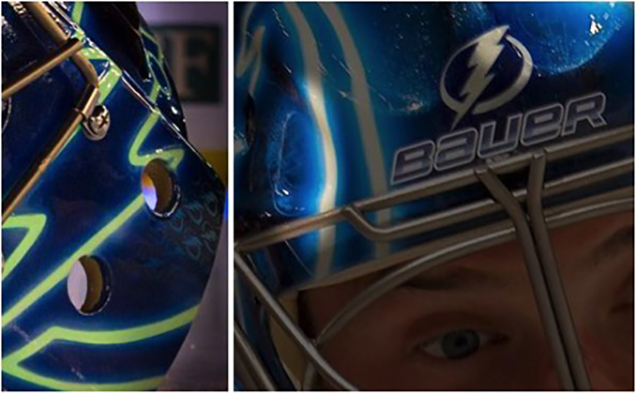 Tech FX paint effect, Gunnarsson encapsulated Bishop’s mask with a glowing, energy-filled lightning pattern on a Tampa Bay-blue backdrop. While the glowing lines and high-contrast of Bishop’s mask do a great job of moving the eye around the design, the balance and subtle details in Crawford’s emerge victorious in the battle of composition. If we take a look at the style of these two masks, it becomes a true battle of classic versus modern. 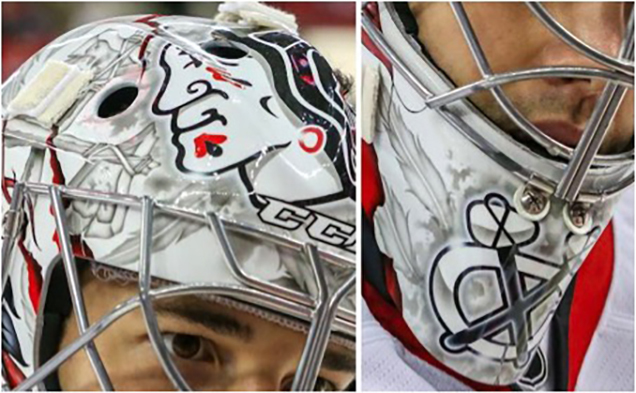 Crawford’s mask shows a great attention to detail with the subtle effects in the background feathers and tomahawks. 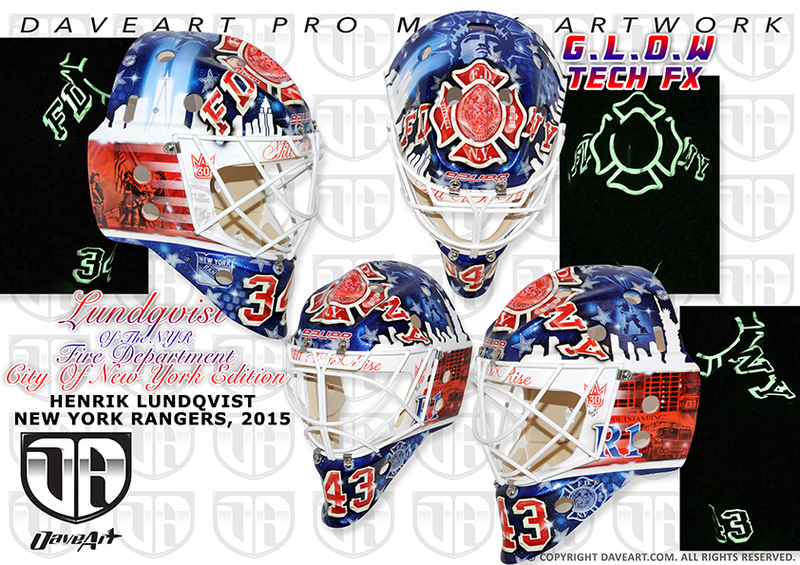 The crisp paint job and traditional foreground-background concept are extremely well done here, but this mask doesn’t do much for revealing Crawford’s personal style. Potentially a nod to the franchise’s tradition and history, Bergeron almost went too classic here, missing an opportunity to push the envelope and show us something new. Bishop’s bucket on the other hand, has garnered attention for its eye-catching style from the beginning. At first glance, the design appears to be surprisingly simple given Gunnarsson’s knack for hyper-detailed work and special effects, but with a closer look, subtle Lightning logos start to appear throughout the mask. 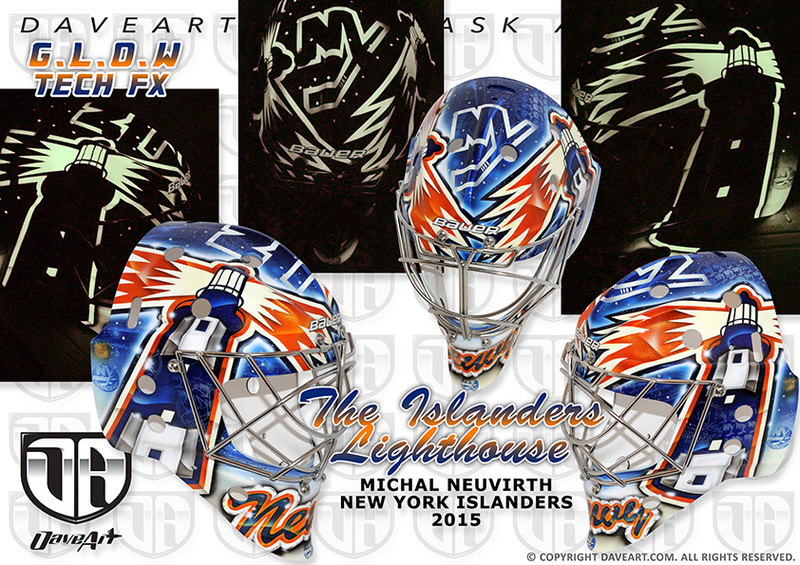 Glow-in-the-dark paint aside, no other netminder has sported a mask quite like this before, giving it an inherent edge for its unique look and design. 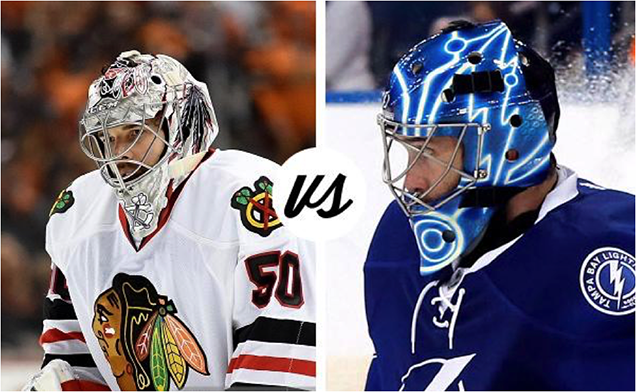 At first look, it would appear that Crawford would be the easy victor here, simply for having his team’s logos boldly displayed in the design, but Bishop’s glowing TRON mask actually makes quite a bit of sense for the Lightning goaltender. Aside from the diminutive Lightning logo above the cage, Gunnarsson has hidden multiple variations of the Tampa brand throughout the design. Along the sides, Gunnarsson created a pattern using the primary logo to fill in the negative space created by the lightning “rods.” Placed sporadically around the front, the Bolts’ circular alternate logo serves as a stamp of sorts to further tie in the Tampa Bay brand. 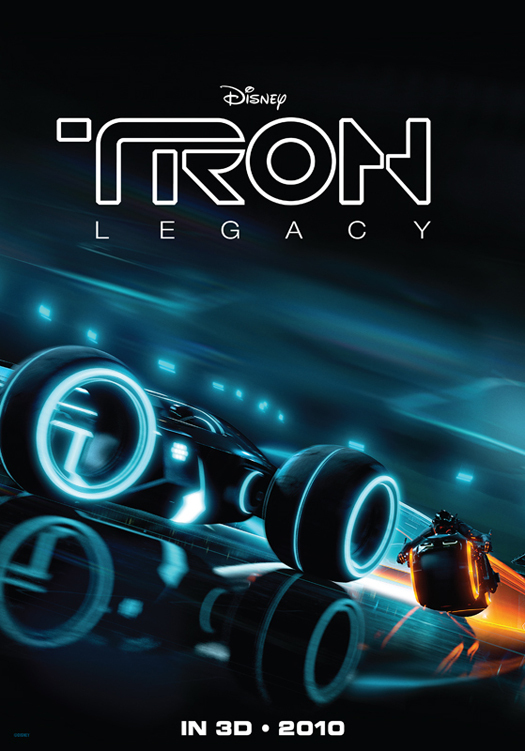 The glowing design itself, while technically inspired by the movie TRON, is quite lightning-esque (for lack of a better term) and lends itself nicely to enhancing the team brand. Despite Gunnarsson’s creative application of the Tampa Bay brand, Bergeron has laced the Blackhawks identity into all aspects of Crawford’s mask, giving his the slight boost to take the cake for branding. Masks are one of the few outlets in sports for athletes to really express themselves in a creative, unique way. Every season, at least 60 or so masks make appearances in the NHL, so creating memorable and unique buckets year after year can understandably be a challenge for goalies and artists alike. Crawford’s mask hasn’t changed much over the past few seasons, possibly with good reason due to his team’s wild success (hey, if it ain’t broke…) while Bishop’s burst onto the scene this year as one of the most talked about designs. No other artist has pushed the envelope quite like Gunnarsson, who continues to make headlines and push the envelope with his overwhelmingly long list of elite-level clients. His G.L.O.W. Tech FX paint was the hot new trend this season, having been used on masks for Cam Talbot, Henrik Lundqvist, Michal Neuvirth and more after the debut of Bishop’s. These wildly different yet compelling masks are all knotted up after 4 rounds. Crow’s classic Blackhawks design took the cake in use of branding and composition, while Bishop’s electric masterpiece had the edge in style and innovation. 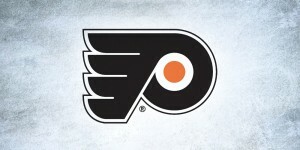 So who wins the Stanley Cup of goalie masks? It all comes down to the intangibles – that little extra something to push one of these two buckets over the finish line first. 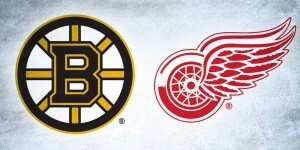 A challenge that has presented itself throughout this entire playoff season, it’s hard to compare two designs that are drastically different in style yet both beautifully executed by skillful and well-respected artists. Between these two masks however, the only one that has been undefeated in the previous three rounds is Bishop’s, due to its innovative and eye-catching design that is like no other in the league. Congratulations, Bish. 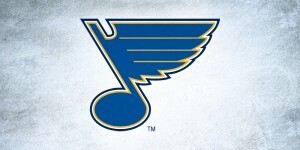 Hoist that Stanley Cup of masks with pride! Agree? Disagree? Let us know who you would pick in the comments below, or on Twitter or Facebook!